'Εν Μηλω' (En-Milo) is a family business, where every customer is considered as the familys guest, therefore we thrieve to offer you an unique holiday experience, commencing from the time when you start to arrangre your accommodation, until you embark on the ship on your way back home. 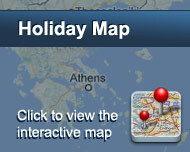 Three key Category with Cycladic decoration studios and apartments. The beach is just 30m away and the village centre with the tavernas and the market to be within walking distance (300m), ideal for a relaxing stay by the Aegean Sea. Every room has high standars of servises and cleaness. Free high speed wi-fi internet access and free parking space is provided for any guest. Special prices for early booking in every type of the studios. For more information check out our online booking system. Είστε ιδιοκτήτης ή διευθυντής στο EN MILO HOTEL; Εγγραφείτε τώρα για δωρεάν εργαλεία, που μπορείτε να χρησιμοποιήσετε για να βελτιώσετε την καταχώρησή σας και να συνδέσετε την ιστοσελίδα σας και το σύστημα κρατήσεών σας.